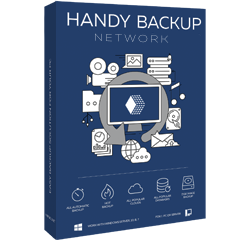 Handy Backup™ for Workstations is the flexible workstation backup software for Windows. It can save user-level data from a bunch of remote machines under the guide of a single Handy Backup utility called a Management Panel and governing all computer backup activity. As one of the best workstation backup solutions for small business purposes, this software can save any user files and folders, even those that in a processing by other programs. The solution can take a "hot" copy of a remote system image, creating either a consistent binary copy or a VHD file, readily mountable as a virtual machine drive or as a virtual disk for browsing its content. This software can automate taking data copies from such remote FTP, SFTP and FTPS services (e.g. static website content), cloud accounts, mapped drives and NAS units etc. A user can expand the basic functionality of this workstation backup software by adding new plug-ins, for example, to save SQL database content from a particular DBMS such as MySQL, MS SQL and others. Handy Backup can perform remote computer backup for a Linux workstation. It has a capability to copy Linux files, folders and some other content natively. Learn about installing Handy Backup on OS Linux. 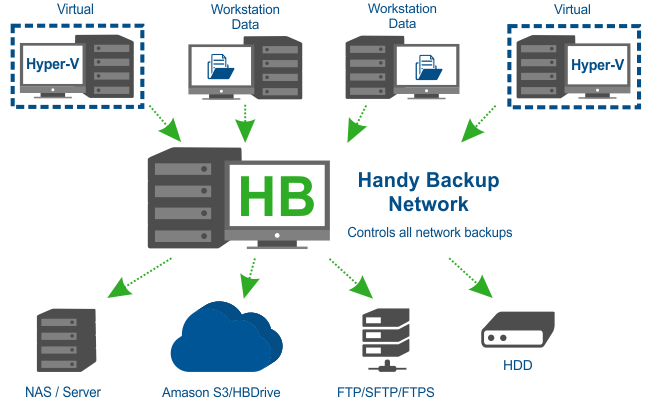 Handy Backup for Workstations centralizes all tasks and operations, requiring no physical presence for remote computer backup operations. 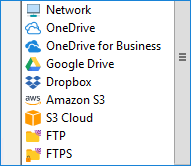 The solution supports a great amount of storages, such as local and mapped disks, external USB drives, FTP/SFTP/FTPS, NAS units and commercial clouds like Amazon S3, Dropbox. Possible backup to Google Drive! The workstation backup software contains such options for data saving as incremental, differential and mixed backups, versioned backups, as well as scheduling backup tasks by a period or an event. The program have built-in options of 128-bit modified BlowFish encryption and data compression for backups. These options add greatly to security and economy of both traffic size and storage space. This option allow the program and its clients to make no distractions for users when performing its tasks. Workstation backup in a silent mode will free the user time for more creative tasks. 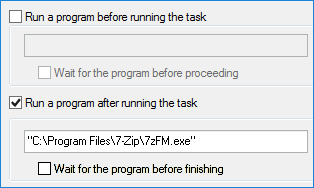 The feature of pre- and post-action allows running other software or batch files before or after completing a task. A user can assemble workstation backup operations into a single complete workflow. 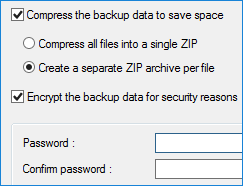 The program keep backups in native data formats, so any user can open a backup folder to browse its content, to view or even modify a particular single file without a complete restoration of all dataset. Many optimizations such as multi-threaded data transferring engine and fast internal algorithms make this workstation backup solution very fast and undemanding to system resources. Such features as a comprehensible GUI, task wizard, report window and optional email notifying about any significant event greatly enhance the overall usability of this solution. Under any product for any major version of Handy Backup, the license is last only when this product lifetime ends up. The price tag contains no hidden costs and fees, and all minor updates are free. 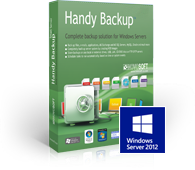 The workstation backup software for Windows, Handy Backup for Workstations works under MS Windows 10/8/7/Vista and Windows Server 2016/2012(R2)/2008(R2)/. It has a capability to support Linux remote machines, especially those based on Ubuntu 16.04 and 14.04. It requires no special hardware. * Handy Backup for Workstations installation also includes one Workstation Agent to back up the computer where it is installed. This video tutorial will guide you through installing network agents. Instruction assumes that you have already installed Management Panel.